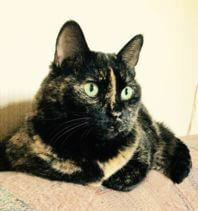 At age 13 Minnie lost vision and hearing on her right side due to hyperthyroidism and hypertension. She had radio-iodine therapy for her thyroid condition and began gaining back weight she had lost. Six months later she had a stroke and lost control of her right front and hind leg. She is working very hard to get better, and has regained nearly all lost function. 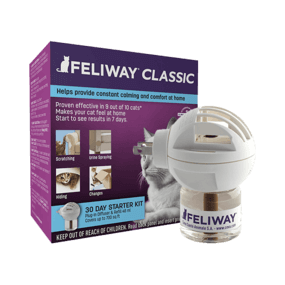 Her FELIWAY diffuser has helped with her fear and anxiety during her recovery.